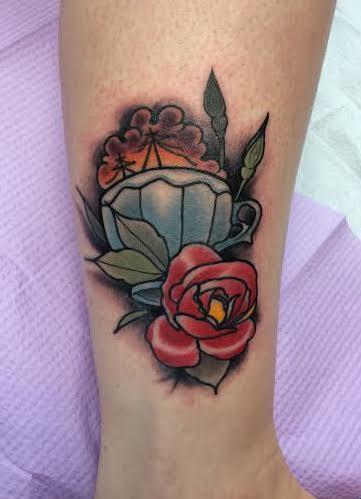 Art Junkies Tattoo Studio : Tattoos : Finished Work : Traditional color tea cup with rose tattoo. Mike Riedl Art Junkies Tattoo. Traditional color tea cup with rose tattoo. Mike Riedl Art Junkies Tattoo. Little guy Mike did a few months ago.